Papilio Fashion House has been working in the bridal and evening fashion industry for more than 15 years. The company builds its reputation on superior quality, exclusive designs, and reasonable pricing. Being represented in more than 170 cities and 30 countries around the world, Papilio is working hard to expand its distribution network and become more accessible to the international market. It continues to grow by offering one of a kind line of designer wedding dresses and exquisite evening gowns. If you are looking for an authorized retailer in your area, please email us at info@papilioboutique.ca, we will be happy to redirect you to the closest representative. 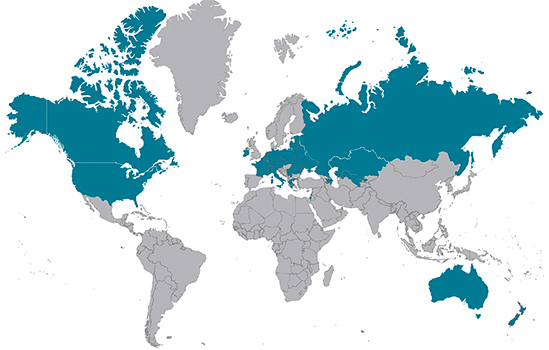 Papilio is currently represented in 30 countries and more than 170 cities around the world. Please note that at the moment Papilio Fashion House does not sell its bridal and evening fashion lines online. Also, you can only purchase little girls fashion via our signature online store www.papiliokids.com. With the growing number of counterfeit websites, we recommend staying away from websites or social media accounts that sell wedding dresses of famous brands online. Papilio only guarantees superior quality of wedding and evening gowns purchased in its branded stores or via official representatives. If you like Papilio and want to represent the brand at your store, please fill out the form online or email us at wholesale@papilioboutique.ca. Please enter your City/State or Zip Code to find an authorized Papilio retailer near you.